If your windshield cracks, the best thing you can do is pull over to the side of the road and reach out to our auto glass experts. Though it is certainly possible to drive with a slightly cracked windshield, doing so is almost always unsafe. Most people are aware of this fact, yet plenty continue to drive with a cracked windshield simply because they have important things to do, are short time or lack the money necessary to pay for the repair. Let’s take a closer look at windshield cracks and whether driving with such damage is safe. Windshields can be damaged by just about anything from ice to falling branches, auto accidents, wayward baseballs and beyond. Numerous types of windshield damage exist. From cracks and chips to “bullseye” damage, star-shaped breaks and linear cracks, windshields can be compromised in all sorts of ways. Furthermore, no two cracks are exactly the same. 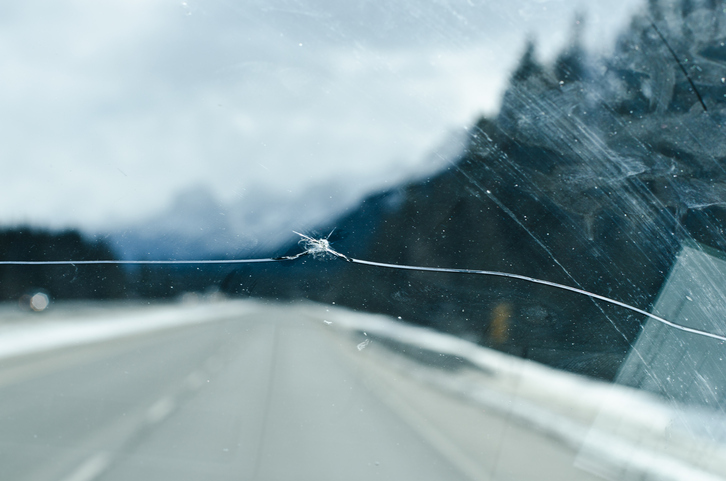 You need the trained eye of a windshield expert to determine the type of crack, whether the vehicle can be driven safely and the best approach to repair. Is it Ever Safe to Drive With a Cracked Windshield? Size is the primary consideration when it comes to windshield cracks and chips. Long and/or spread out cracks are unsafe and potentially illegal. State laws make it illegal to drive with an elongated or spread out windshield crack. If the crack is especially large or long, the windshield will have to be fully replaced. If the crack is minor, driving for a short period of time is certainly risky yet it might not result in a traffic citation or accident. The crack’s position is of the utmost importance. If the crack is diminutive and positioned along the right-hand side of the vehicle, you should be able to see fairly clearly. However, if the crack interferes with your view as a driver, contact our windshield experts right away for a repair or replacement. There is no sense putting your well-being or your vehicle at risk by trying to see around a massive crack. One of the more widespread problems with minor cracks is they are likely to spread as time progresses. As the temperature alters, the glass expands and subsequently contracts. This loosens up the windshield to the point that it continues to grow. In certain cases, it is possible to repair a cracked or chipped windshield. Cracks between 6 inches and a foot in length have the potential to be repaired. Cracks longer than a foot necessitate a full replacement. How Long is Too Long to Drive with a Cracked Windshield? There is no set amount of time to safely drive with a cracked windshield. In some cases, the crack is diminutive and unlikely to spread, making it possible to drive days, weeks or even months without additional damage. However, even slight cracking makes windshields brittle. If any sort of pressure is applied to an even slightly cracked windshield, it has the potential to crack that much more or even break while you and your loved ones are in the vehicle. If your windshield is cracked or if you have any other issues with auto glass, our team can help. 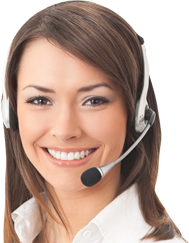 Give us a call today to learn more about the nuances of windshield cracks, repairs and replacements.